Should Men or Women Pay for the Date in Japan? Don't forget your wallet in your other uniform! 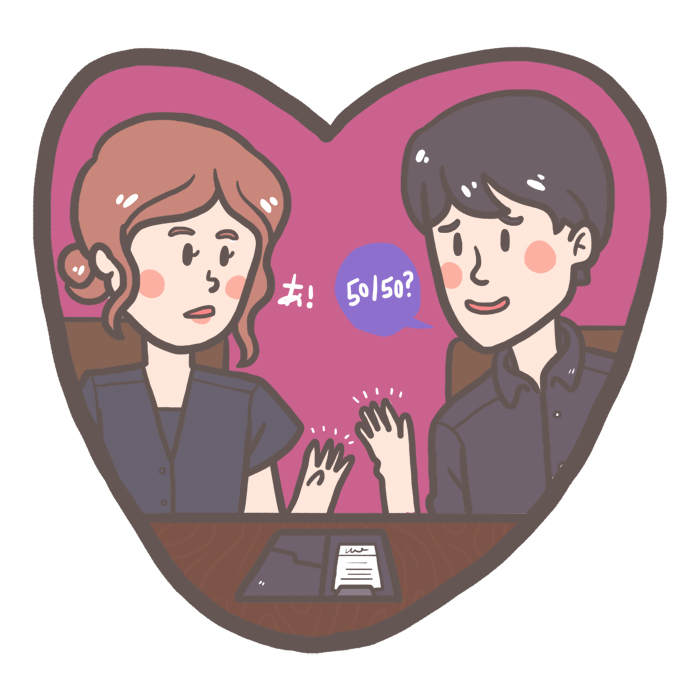 I recently wrote "Dating A Foreigner (From A Japanese Perspective)" and I received a lot of interesting feedback and I thank you all. One particularly resounding message from you all was that many people wanted to hear perspectives other than my own and of course I agreed with you. On the other hand, it's difficult to cover many topics with a lot of perspectives all at one time, so I've decided to go at this topic by topic. Before getting started, I'd like to point out again that all these examples could just be personal character traits, flaws, habits, beliefs, or senses of humor and that not all Japanese people act the same way. In fact, I found one to be quite rude and atypical. There are no generalizations because the people quoted in this article dated different people from different countries and they all have their own personalities. So, keep that in mind! So, don't be upset if an example related to your nationality and it doesn't match with the way you think or feel! I'm not taking a jab at your country, and everyone knows that every person in the world has different experiences. Let's just have some fun with this and maybe learn something along the way. Is It True That Japanese Men Pay For Women? In Japan, many people still believe that men paying for women is point of good manners and Koichi talked about this in What It's Like A Dating a Japanese Guy as well. In fact, some guys even feel insulted, or that their pride was just given a 'low-blow', if a woman insists that she should pay for herself. This is standard dating-conduct for men in Japan. So, if you are a non-Japanese girl out on your first date with a Japanese guy, insisting to pay your half may be more hurtful than helpful to his pride. But wait a minute! This has been changing quite a lot actually, especially amongst the newer generation of couples. Nowadays, many men wish more women would help pay for the date tab. It's also more common for men to ask women to contribute somewhere between 20-30%. If at no point does the woman offer to pay for something, then the man may actually be lead to believe that she is not a generous or thoughtful person! According to a research study conducted by Sankei Digital and Sankei Living from December 19, 2012 to January 15, 2013, about 70% of 169 Japanese women still prefer to be paid for while on the date. Actually, this research made many Japanese men upset to the point where they cried out "Where the heck is man-woman equality!?" I guess to be safe you should at least offer to pay, and hopefully they will reject your offer (if you didn't want to pay)? With these ideas changing so rapidly, be careful not to step on any hurt-feelings landmines. Japanese men who have been educated throughout school and from societal constructs about 'the equality of men and women' often question the male's responsibilities. In this article, of course that means paying for things like restaurant bills and such. I came across an interview from a man who was dating his coworker. The interview was conducted by Fukuishinbun. 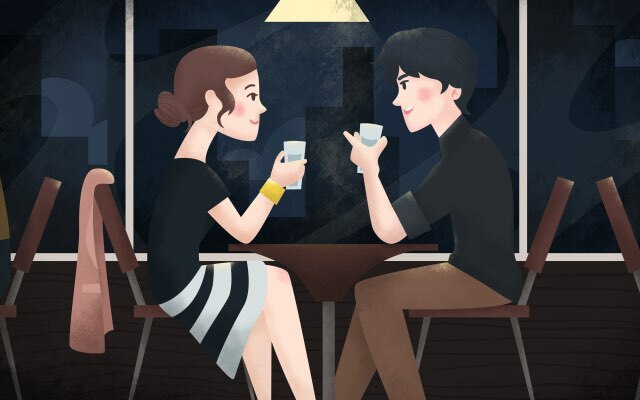 In the interview, he complained that he pays a little more than his girlfriend when they go out on a date, even though the receive the same payment from their company. He believes that they should pay the same amount if their payment is exactly the same. This change in Japanese men's thinking was also brough up last year by a Chinese woman who was dating a Japanese guy. On their first date, they split the bill and this made her so upset that she wrote down her complaints on her blog. What she wrote took the online news sources by storm. I had no idea why I had to pay because it was a date with my boyfriend. In China, or at least in Zhejiang where I am from, the man pays for practically everything while on dates. I'd say that the restaurant bill should be almost 100%. In fact, if a woman pays, she risks being hated by her boyfriend. It's not only this Chinese girl, though. Another Chinese girl (劉), a Korean girl (ハン) and an anonymous Laotian girl were also all surprised that their Japanese boyfriends didn't pay for them. 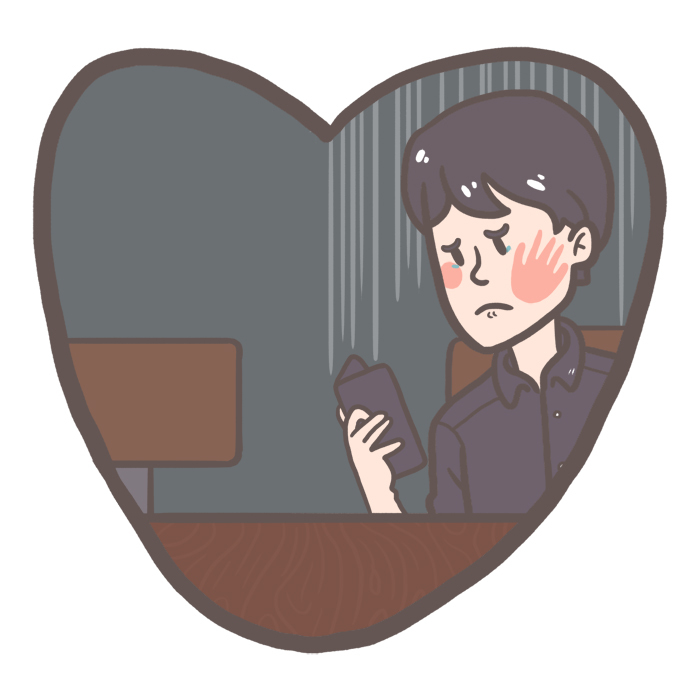 As for ハン, she was so upset when her boyfriend tried to split the bill for a ラブホテル (Love hotel) that she left him in anger. I'm not sure about how old the Japanese guys were, but all three of these women are in their late teens and early twenties, so I assume they were dating guys who would be considered to be part of the "younger" generation. The older generation of men still expect that men should pay for women… however, younger generations are changing, so it may be best to be flexible on that stereotype. Furthermore, one anonymous Japanese guy dating a British woman was often told by her: "I can't believe Japanese women. They allow men to split bills because they don't have confidence in themselves!" He used to split the bill when he was dating Japanese women, but he had to change his mind after hearing that line, at least for her. Over time, be began to get annoyed with what she said because she repeatedly complained about Japanese women who allow men to split the bill. It's possible that the myth that all Japanese men prefer paying for everything may not have a long life if he felt this way. Like the above research suggested, many Japanese women still believe that their portion of the cost of a date should still be paid for. I also know of many Japanese girls who believe that men should always pay for women and that women should only date men who pay for them. @ya is maybe one of them and was surprised at how differently things are done in the UK. Yamaihimiko dated an American guy and she mentioned that he fronted the bill for everything, whereas inokay1123, who dated a few American men in the past, said that they all wished to split the bill and she stopped seeing them because of that. Actually, she brought up an interesting thing. Just like many Japanese people do, I offered to pay my own bill to show my appreciation and gestured that I would hand over my money. Then, they just simply accepted it. So, if you're a guy who is seeking the chance to date a Japanese woman, you may want to question yourself when she poses this option. If she does offer to pay, maybe you should just say, "Don't worry. It's on me." There's a chance she's not actually wanting to pay for half of the bill, but she's just doing so to be polite. Although some Japanese women complain that their international boyfriend doesn't pay their bill, one anonymous woman who was dating a man from Thailand was very impressed. The whole bill was on him, even when she took her sister or friends. Apparently, it's even pretty common for Thai men to borrow money from their friends before going on a date to help pay for it. It's also normal for men to either provide their girlfriends with a ride to work, school, or accompany them to their destination, but it depends on his income as the transportation can change from bus to motorcycle to taxi to car to hovercraft. As for me, personally, sure I like free food, but I didn't care whether my boyfriend paid for me or not every time. 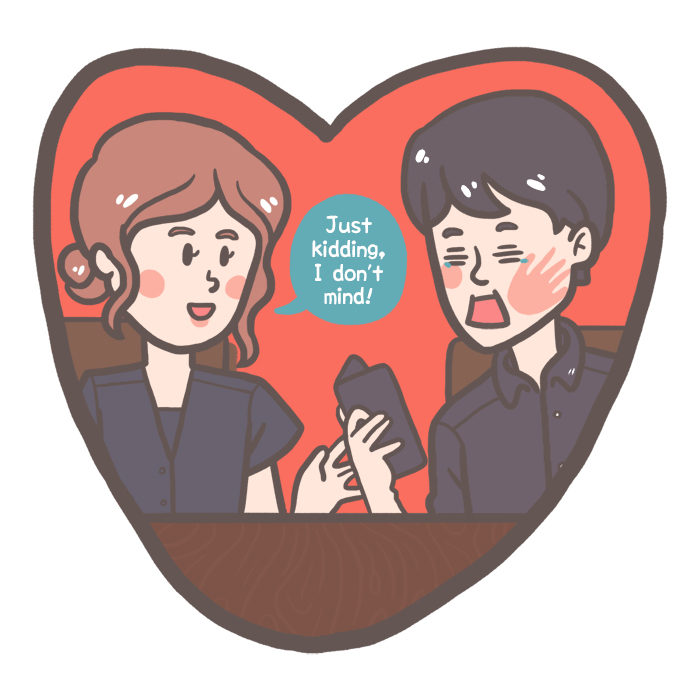 Even now that I'm married it doesn't matter… though that might be because there is only one wallet (our wallet). I had an ex-boyfriend who suggested that we decide who pays the bill by playing rock-paper-scissors. I accepted and from there on out we always decided that way. I found it pretty fair and kind of fun, too. While dating my Canadian husband, sometimes he would pay for me and other times I would pay for myself. It didn't bother me, especially because I knew that I was making more money than him at the time, haha! So, now you see that it's not so black and white. While it's still very much standard for the older generations to pay for a woman's meals and date, the younger generation is changing. Some girls still expect it, other girls do not. Same with guys too. Best thing you can do if you're a non-Japanese person dating a Japanese person is to be sure and offer if you're a girl and attempt to reject payment offers if you're a guy. It's basic manners, anyways.